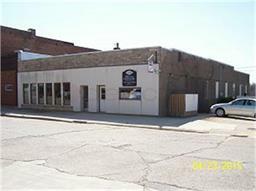 FOR SALE: 107 N. Page St. - Monona Chamber & Economic Development, Inc. Downtown storefront property, multi-unit spaces give strong potential as an income-producing property or a 10,500 s.f. facility for your own retail or commercial business. Great location for retail or office space residing next door to the newly-expanded library facility in the heart of historic downtown Monona. The front suite has been a retail craft store and the office is occupied by a reliable long-term tenant. The largest unit in the rear was formerly Monona Wire Co., as well as a day care center and fitness center, where MWC installed electric outlets every several feet on walls to accommodate multiple work stations, and also includes a full kitchen and two ADA restrooms (installed when used as a daycare). All three (3) suites may be combined to fit the needs of a large assembly business, auction house, retail mall, or room for individual consignment booths. Gravel parking area and west side of building area provide several off-street parking spaces and gravel drive gives access to 9' wide x 7' high garage door to the lower level. For more information, contact the Halvorson family at (563) 880-9190. Please peruse the "Building For Sale" data & contact the Halvorson family for a tour of this 10,500 s.f. facility. Explore the possibilities . . . the owner is asking $25,000 for the property . . . that comes to only $2.38/s.f. for the entire building . 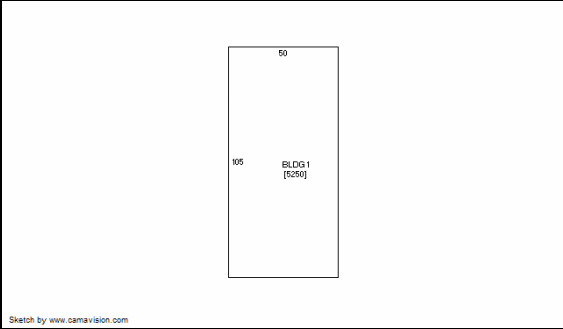 . . today you can't build a new building in this area for less than $100/s.f.